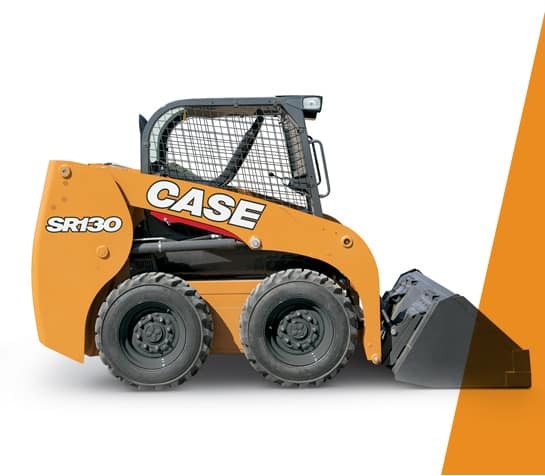 To deliver CASE specific performance and productivity to an ever wider range of customers, CASE Construction Equipment has developed the skid steer loader SR130 with the radial boom. The wide door, repositioned grab handles and a lower threshold provide easy access to the cab. The SR130 skid steer loader benefits from a cab with up to 25% more internal width, providing greatly improved operator comfort. Our cab - the widest in the industry - provides plenty of room for comfortable operation, with greater headroom and legroom, more space between the control levers and easy access to the seat. The large glazed surface with ultra-narrow wire side screens, the lowered threshold and thinner front pillars provide the best visibility in the market.